If you’re on a budget, you don’t have a lot to put into the market, but you have to remember that stock investing is not a quick way to get rich (in my experience, there’s no such thing). Instead, it will take some time and effort to accomplish your goals. 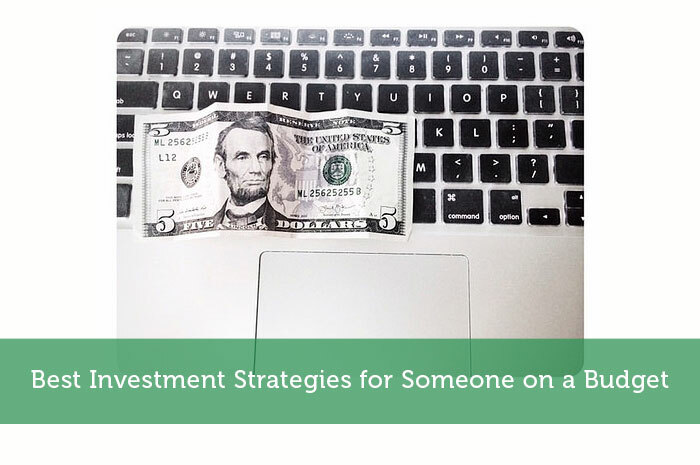 Investing is meant for someone who has some extra money lying around. So, the first thing you have to do is to spend less than what you earn. This is critical, because you don’t want to play with money you are using to cover your basic living expenses. In other words, don’t put money into the market that you can’t afford to lose. It’s important to keep an eye on your cash flow, and there are different programs available to help you with this. With Personal Capital, you can see all of your bank accounts in one place, and you can keep track of how much you’re bringing in and how much you’re taking out. This is a great tool to help you control your financial situation. What I like about Personal Capital is that it shows your cash flow for the last 30 days, and it is updated daily. It even categorizes your expenses, so you can see where your money is going. Whether you’re from Generation-X or a young Millennial still trying to make it in the world, there is one reality you can’t escape. And that is that you will one day reach retirement age. We only have so many years before we just can’t work anymore. So, it makes sense to prepare for it. Getting a 401(k) plan from your employer is an excellent start, but it’s a good idea to get an Individual Retirement Account (IRA) as well. You do, after all, want to have control over your retirement. Betterment has a great selection of IRAs, and they even have a retirement calculator to help you build a savings plan. Personal Capital has a retirement planner as well, even though they don’t offer any IRAs. Still, you can link an existing retirement account into their software to help you keep track of how it is growing. If you don’t have a lot to invest, then you don’t have a lot to lose. And that’s why low-risk investments are your best option. ETFs are good for first-timers, as they are like mutual funds but are traded as stocks. Mutual funds are also good for first-timers as well, because they are managed by professional traders who buy and sell stocks within the fund to grow its value. You can get solid returns on either of these assets, but you have to be mindful of any fees that are attached to them. A crucial part of any investment strategy is to find the right broker, and if you don’t have a lot to throw into the fire you want to make sure it doesn’t burn too quickly. That’s why a discount broker will be your best bet. Their fees are low, and they’re free to join. Not to mention, all of your trades can be done online. The only negative is that you won’t get any investment advice, so you need to be careful about how aggressive you want to be as an investor. You also need to know what you’re doing, or you could lose everything you have. Betterment is a great platform for a new investor. Their fees are low, and there is no account minimum. Plus, they have a good selection of mutual funds and ETFs – both of which are good for a starting portfolio. They even have some great automation tools to help you maximize its performance. TradeKing can be a good choice as well. They have a good selection of stocks, mutual funds, and ETFs, and their research tools are easy to understand and simple to follow. Unlike Betterment (which charges a percentage), they are a flat-fee investment broker. And it will vary, depending on what type of asset you’re planning to trade. Of course, I can’t forget about Motif Investing. They have a very unique platform that would work well for any new investor. They group 30 stocks and ETFs into what they call “motifs,” and they organize them according to different investment criteria (usually by industry). Each motif cost $9.95, so you can build a solid portfolio with very little upfront investment. But you will need to have at least $250 in your account before you can start trading. If you’re on a budget, you need to be extra careful about how you invest and what you invest in. Choosing low-risk assets that can generate solid returns will be your safest option, as they are not only safer but can also help you generate enough capital to venture into riskier investments – such as mid-cap or low-cap stocks. Another way to accrue wealth for investing is to create a savings account and simply put in spare change or small amounts from time to time, and to vow not to touch this account unless there is a serious emergency. It takes discipline but it can be surprising how effective this method is.